Outlaw Looks To Make History at ROC 59 | Lou Neglia's Ring of Combat | Next Generation of Mixed Martial Arts! Lou Neglia’s Ring of Combat has seen many great fighters compete in its promotion. Many of these fighters have gone on to compete in the world’s biggest MMA promotion, the UFC. From this long list of great fighters, three of them became world champions in the UFC; Matt Serra, Frankie Edgar and Chris Weidman. The list is very long of the fighters who have or are competing successfully inside the Octagon. One thing these fighters have never done is become a dual champion under the Ring of Combat banner. While Julio Arce became the first ever to win two titles in two different weight classes inside ROC, no one has ever held two titles in two different weight classes at the same time. 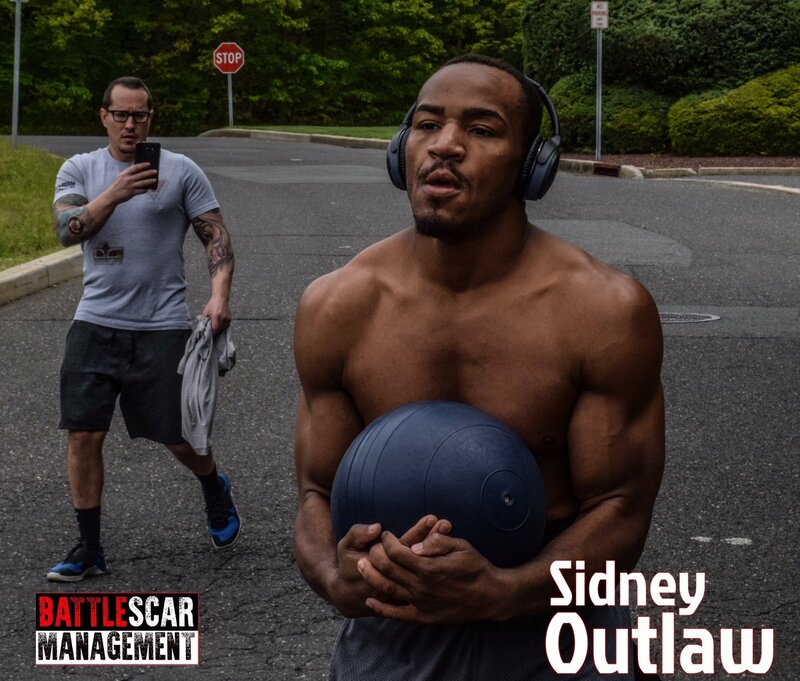 Sidney Outlaw looks to become the first ever to boast of such an accomplishment. Outlaw one the welterweight title at ROC 58 and now has his eyes set on the lightweight title at ROC 59. The drop in weight is something Outlaw is comfortable with the drop in weight as he feels the lightweight division better suits him. Outlaw meets Virginia’s James Rumley (3-3) for the vacant lightweight title. If looking to make history doesn’t enough pressure, Outlaw gets his chance to show what he’s made of in front of UFC’s Dana White when Lookin For A Fight returns to Ring of Combat. For Outlaw, there is no added pressure. He simply gets to do what he loves doing in front Dana. “Feels like natural,” said Outlaw. “To go out there and have fun. To out there and to do what I always do, I’m blessed,” he continued. Nothing is ever for certain in the fight game but with such a strong team behind Outlaw, his chances look very good. “I am so blessed to have a veteran like Dante Rivera, the Renzo Gracie Association, Frankie Edgar, Ricardo Almeida, Driven Gym, my chiropractor Health Fusion, Randy Brown to have helped me get this far,” said Outlaw. “There’s really so many more to name off and so many that continue to believe in me that allow me to focus more on fighting. I can’t thank them enough,” Outlaw continued. Sidney Outlaw vs James Rumley take place at Friday, June 2nd at the awesome Tropicana Showroom in Atlantic City, New Jersey. ROC 59 is stacked from top to bottom with five title fights. Tickets are available online at the ROC website, the Tropicana box office or any TicketMaster outlet. ROC events have a history of selling out so get your tickets today!